One can find some of the most famous places of worship in Dehradun which are worth visiting during your trip to the city. These temples are located amongst the most exotic and mind refreshing cool places that really gives a peace of mind in this fast paced metro lives. Some of the mandirs are among the ancient historical times that have seen generations! The Tapkeshwar Mandir is situated in the Gahri Cantt area and is one of the most ancient places of worship in the valley from the times of Pandavas. The temple is visited by thousands of devotees all around the year. The famous Buddha temple is located in clement town area of Dehradun and attracts people not only from India but around the world. Beautiful structural designs depicting the ancient Buddhism culture really excites. The Shirdi Sai Baba Temple is located in the upper Rajpur road of Dehradun. Situated among the beautiful greens of the Mussoorie downhill, it is an enchanting place of worship. One of the famous temples embracing Lord Shiva, the Lakhamandal Temple is a great place of worship and is located along the beautiful Yamuna bank around 75kms from Dehradun city. Situated around 6.5 kms from Dehradun city, Chandrabani temple has huge spiritual importance and is visited by people from all over India. 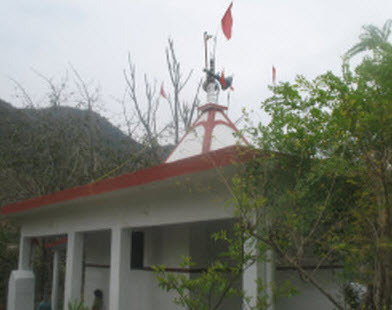 Having great cultural importance, the Santala Devi Temple is situated around 15 kms from the Dehradun city. The mandir is believed to be a holy place of Goddess Santala who transformed and hence worshipped here. The Laxman Sidh is situated around 13 kms form Dehradun towards Rishikesh/Haridwar. A large number of devotees visit this temple every year due to its huge spiritual importance. The Shiva Temple is situated along the Mussoorie road just few km form Dehradun. A number of devotees flock this great place of worship for dhyan and peace of mind.